HALIFAX — Looking for a unique Christmas experience this season? Why not explore the East Coast. The East Coast offers a sense of Old World nostalgia along with a healthy dose of pure Canadiana. Whether taking a snowshoeing holiday through the Cape Breton Highlands or trying your hand at a Mummer’s Dance in St John’s, chances are you will experience the Christmas of a lifetime. Maritime living, according to Phyllis Hind of Hubbards, Nova Scotia, gives visitors an opportunity to kick back and truly slow down their often hectic lifestyles. The opportunity for rest, relaxation and fun winter activities for the family makes the South Shore (which starts at Halifax and ends at the town of Yarmouth) an amazing Christmas destination. A Christmas on Nova Scotia’s South Shore offers plenty, from the rugged Atlantic coastline to the German architecture in the town of Lunenburg and the famous hospitality of Nova Scotians. A day trip to Peggy’s Cove followed by a nice, hot meal of seafood and gingerbread at the Peggy’s Cove Restaurant. Dinner at Fleur de Sel Restaurant for a unique local eating experience. Take a winter walking tour through beautiful Mahone Bay to visit the local art shops and bakeries. St. John’s, Newfoundland may be small compared to Toronto or Montreal, but these days it’s really made a name for itself as a top travel destination for young and vibrant tourists looking for a great party. Christmas in this area is first and foremost a time to relax with friends and family. Amanda Smallwood, a resident of St. John’s, says her favourite sight during the holiday season is the huge star erected on Signal Hill. “You can see it from anywhere in the city; it’s just gorgeous,” she says. Take a day to hike along the East Coast Trail with your family or have a boutique day shopping through the city’s streets. Most importantly, enjoy the beautiful surroundings and chat with the lively locals. You’ll make plenty of friends — Newfoundland is, after all, the friendliest place in North America. And the oldest. A Christmas Day hike up Signal Hill in St John’s. On your way back down take a stroll through outport-esque Quidi-Vidi. Don’t forget to wish the locals Happy Holidays — they may invite you in for a cup of tea! A night out on George Street. Partake in a Christmas Pub Crawl and get screeched in by the locals — it’s an experience you’ll never forget. Oh, and you’ll never look at cod fish the same way again. Go mummering! On the 12th day of Christmas take the opportunity to visit your neighbours by dressing up, knocking on their door and shouting “ANY MUMMERS ALLOWED IN?” They will have a great time trying to guess your identity and will repay your foolery with Christmas cake and a drink. Eat at the best new restaurant in Canada (EnRoute Magazine, 2011): Raymonds. Supping on braised short ribs while overlooking St. John’s Harbour = heaven. Enjoy the guttural sound of the Gaelic language? Like lobster? How about quaint fishing villages and breathtaking ocean scenery? 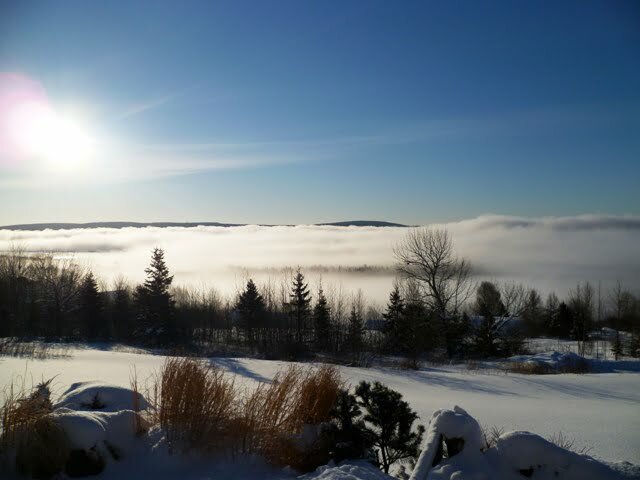 If so, you should consider spending a quiet family Christmas on the island of Cape Breton. The Scottish (or Acadian, depending where you go) culture in Cape Breton is deeply rooted. You can spend a day at the Gaelic College learning about the many cultural traditions of Cape Breton, take in a ceilidh (a community party) or simply acquaint yourself with the friendly locals. Whether you’re looking for a chalet set among inland farming communities or prefer the windswept winter scenery along the coast, you will find the Christmas holiday of your dreams on this island. Taking in a community hall dance or local ceilidh. You’ll make fast friends and learn some new dance steps! Re-acquaint yourself with Canadian history — visit the Alexander Graham Bell Museum in Baddeck or the Historic Fortress of Louisbourg to see what life was like in French-occupied Eastern Canada in the 1700s. 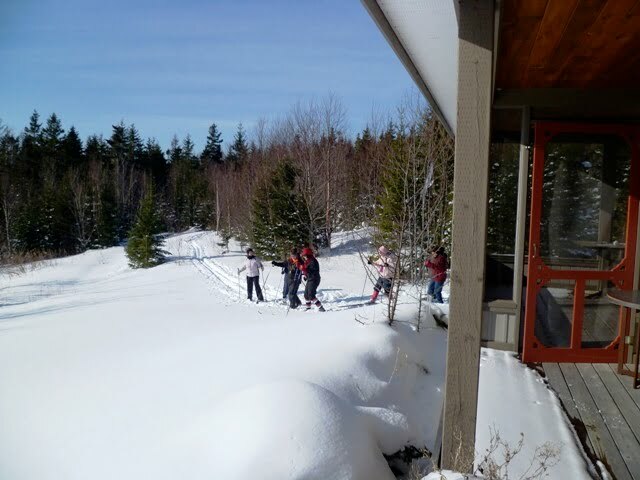 Take quiet walks through isolated old-growth forest, take your kids tobogganing or snowshoeing through the countryside, go birdwatching or ice fishing on the Bras D’or Lakes. It may not seem like the most likely place in Canada to partake in extreme winter sports, but there’s more to Prince Edward Island than meets the eye. The beautiful island scenery (think Anne of Green Gables, snowy red sand beaches and Charlottetown covered in Christmas lights) would be enough to entice anyone to escape there for their holidays, but with their extensive forest trails and fresh blankets of powdery snow the island also offers a plethora of winter sports and activities. Peter Mallette semi-retired from Ottawa two years ago to open a bed and breakfast (Murphy’s Tourist Home) with his wife in Tignish. He says the landscape and the people of PEI also make it a great destination for those wanting to experience a country Christmas. Snowmobiling is a popular winter activity, as is snowshoeing, skiing (cross-country, Nordic and downhill), skating and snowboarding. Combine these activities with a traditional country Christmas backdrop and you have the makings for a unique and fun-filled family holiday. The Charlottetown Rustico Christmas Lights Tour — take a luxury limousine tour around the provincial capital to view the Christmas lights, then vote for the best-decorated house. At the Brookdale Winter Activity Park, kids snowshoe or sled down a sliding hill, downhill ski or snowboard. Parents can enroll kids in ski lessons or just lounge around the lodge with them and cups of hot chocolate. Chow down on fresh and deliciously prepared seafood at Dayboat Restaurant in Charlottetown. 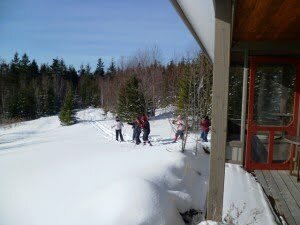 Go snowmobiling through the many forested trails on the island. Spending Christmas in Fredericton is like spending Christmas on the set of “Wind at my Back.” There are plenty of heritage homes tastefully decorated for the holidays, holiday craft fairs and markets a-go-go. Plus, cultural events to enjoy with your family. Staying in Fredericton for the holidays really brings the best of both worlds when it comes to an East Coast Christmas. You have the comforts and entertainment that one expects from a city with fabulous community spirit, and if you’re interested in adventure you’re never far away from the countryside and all it offers. Fredericton truly is a great spot to have a traditional Christmas with your family. The Fredericton Boyce Christmas Market for fresh-baked goods, in-season produce and plenty of local Christmas crafts and artisanal products. A great place to complete your last-minute Christmas shopping. Take in the annual Christmas show at the Fredericton Playhouse — it’s a great night out for the family. Take a day to explore the surrounding area. Go hiking along one of the many trails around the outskirts of the city, walk along the St. John River or take a drive to the Portobello Creek National Wildlife Area.